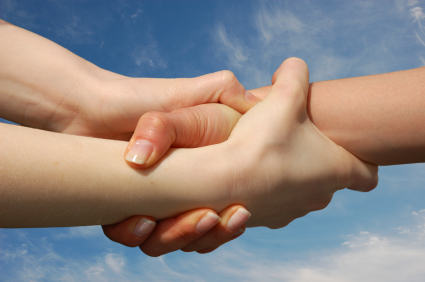 Calling all Guardian Angels – We need you! Whose safety are you responsible for? It’s a simple question, but one that is perhaps not asked often enough. Therefore we thought we’d break it down a little – ‘zooming out’ until we can see the big picture that is often sadly obscured by media nonsense about ‘nanny states’ and other health and safety myths. First of all, you’re responsible for yourself. Personal responsibility is a vital component of accident prevention, and for almost 100 years now RoSPA has dedicated itself to providing people with the information they need to protect themselves from the misery and suffering injury and ill health can cause. You’re also responsible for your friends and family – especially the elderly and the young. This is common sense. None of us want to see the ones we love hurt, and as a result we will go out of our way to protect those closest to us, starting with the most vulnerable. It’s not being a busy-body. It’s not ‘nannying’. It’s simply our way of showing that we care. What about the people we work with? Well, if you’re reading this blog there’s a good chance you take a healthy interest in workplace safety. Maybe it’s part of your job, or perhaps you’ve seen firsthand the devastation needless accidents can cause. Either way, we’re sure that you accept that looking out for your colleagues is your responsibility – just as you’d expect them to look out for you. After all, we all deserve the right to go to work in the morning and come home safe at the end of the day. But who else can we reasonably think of ourselves as being responsible for? What about people we don’t know directly, other companies we work with, our suppliers and service providers? How about our colleagues’ families and friends? You see here at RoSPA, we are committed to the concept of a safer society, one where everyone has the right to live their lives free from pain and suffering. For us to achieve that, we need to realise that we are all cogs in a bigger machine – and for the machine to keep running smoothly we all have to play our part. In other words, we all need to look after each other. It’s not rocket science we know, but it’s amazing how often companies lose sight of the big picture. You might have the best Safety Managers in the world, but unless your entire team believes in and is working towards an accident and injury free society, then things will and do inevitably go wrong. Thankfully, some people realise this, and with that in mind, RoSPA are excited to announce we are now accepting nominations for the 2015 RoSPA Guardian Angel Awards. These awards aim to shine a light on those people within organisations who have gone ‘above and beyond’ to make the world a safer place for their fellow man, woman and child. Whether or not they work within health and safety, or have simply used their initiative to help reduce risks they’ve spotted in the workplace or the wider community, we want to hear about them, so that we can celebrate the example they set to all of us. Remember, being responsible is about ‘doing your bit’. Being a Guardian Angel is about doing more than your bit, including making sure you go the extra mile to ensure other people do theirs! Even doing something as simple as making sure you never miss a safety meeting can make a real difference. 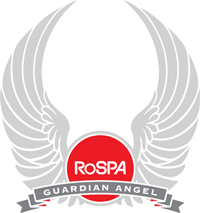 So think – is there someone in your organisation or in the local community who you think deserves to stand next to these RoSPA Guardian Angels? Someone whose efforts have gone unrewarded and unrecognised…until now? If so, then nominate them for a RoSPA Guardian Angel Award – and show the world that your organisation supports RoSPA’s vision for an accident and injury-free society for all. No thing greater than serving your fellow man!